Jewelry by Cari, leading designers of interchangeable, handmade fine jewelry will preview its latest Layered Collection at various trunk shows on the East Coast this July. Jewelry by Cari designs are hand sculpted with clay, cast in pure precious metals, and hand brush-finished. In addition, their creations can be personalized with a name or message hand-stamped on each piece. Additions to the collection include new charms, new linked necklaces, new earrings and the innovative Cari Clasp™. 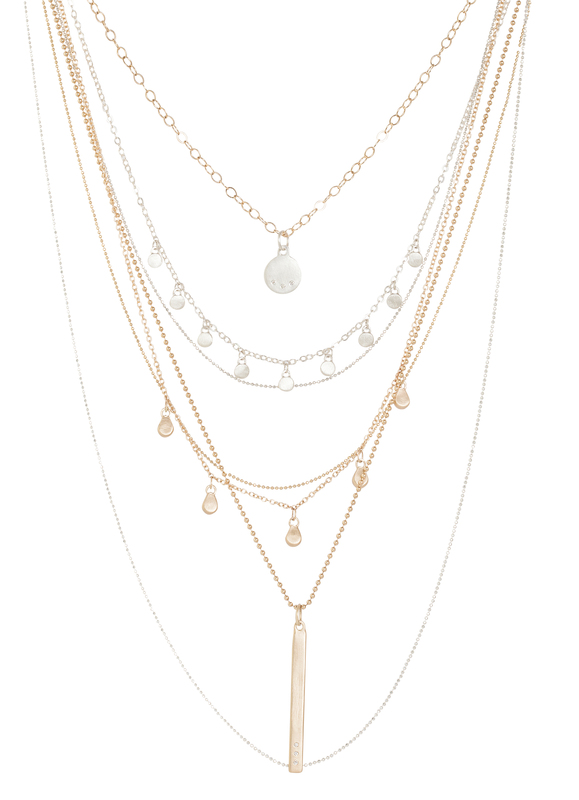 With the Cari Clasp™, charms hang from a variety of chains that attach and detach to the clasp. Multiple chains can be layered and connected into a single necklace that can be interchanged with ease. Renowned jewelry boutiques, Silverado Jewelry Gallery in Saratoga Springs and Von Bargen’s in Hanover and Stowe, will host Trunk Shows for Jewelry by Cari in July 2018. Silverado has represented Jewelry by Cari since 2010 and Von Bargen’s is debuting the line for the first time. Visitors to the events will get to shop from the entire collection and meet the artists Cari and Rory. 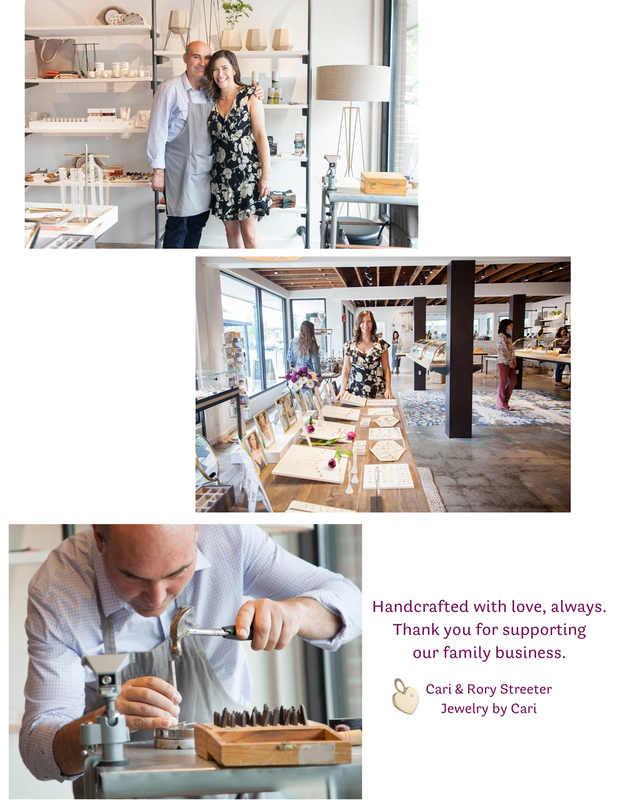 Cari will be working with customers directly to create unique ensembles and Rory will be hand-stamping personalized pieces and flush-setting diamonds on the spot. The collection ranges in price from $35 to $4000 and pieces are available in silver and 14KT gold. 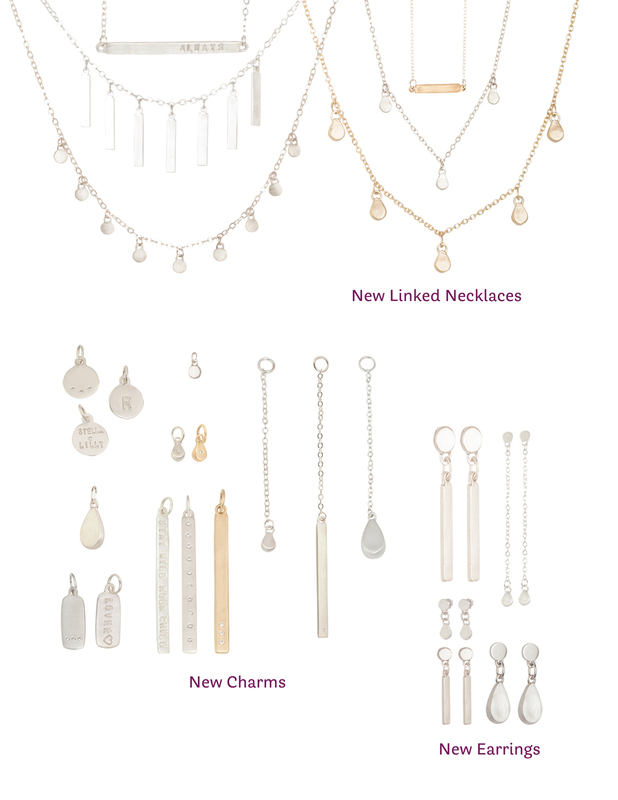 Additional information about the new Layers Collection and the East Coast Trunk Shows can be found online at http://www.JewelryByCari.com. Headquartered in Hood River, OR, Jewelry by Cari was created in 2002 by the hearts and souls of young artists, Rory and Cari Streeter. The company has stuck by its vision of designing a stylish collection that inspires people to use their own creativity to put together different ensembles to match their personal styles. Artistic passion and an enterprising spirit inspired Cari Streeter to launch her first collection while living in California, circa 2002. She quickly caught the attention of boutiques, editors, and celebrity stylists while she built a following of dedicated customers. Jewelry by Cari can be found in 20 designer jewelry boutiques nationwide. For more information, please visit http://www.jewelrybycari.com.